Does Chrome detect the mic/webcam? Is the hardware access authorized? 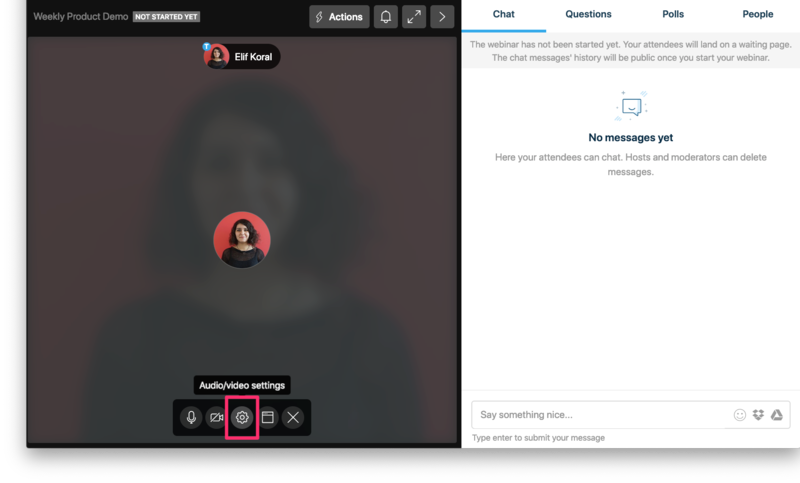 Now you can check if everything is working by asking your contributors to join the room (don't start the webinar, they can join even if it has not started). If they can hear/see you then you're good to go. You can also try by using our meeting software, Livestorm Meet, that works in the browser, just like our webinar software. We can only make the best effort as we rely on your connection and your attendees' connection to have a good webinar experience. You can run an automated test here and send us the results for interpretation. Is the port 443 open to download a video stream? Can we send and receive websockets? Is it possible to open UDP port 3478? For the best possible experience, is it possible to open UDP ports 1025 to 65535? Can you download and upload 10mb/s? 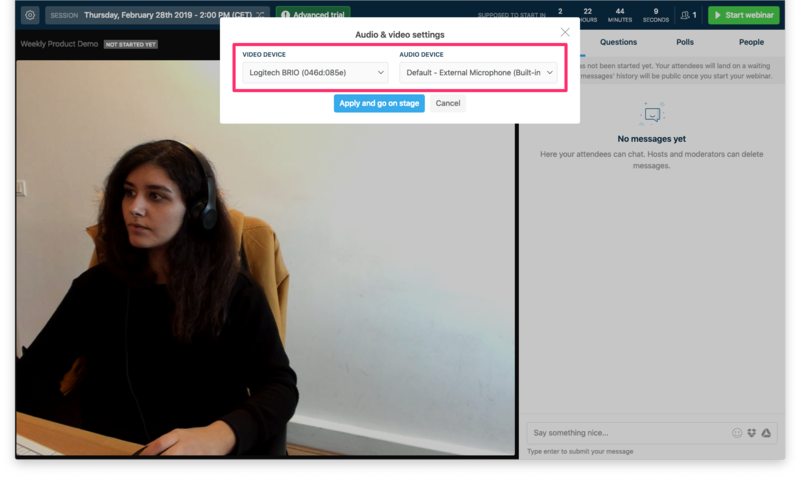 If anyone is listening to the webinar in the same room, make sure they're usjing earphones as well otherwise the sound will loop back in your microphone and create a Larsen effect. Kill ALL the useless apps that might eat your CPU (computer power) and bandwidth. Google Drive or Dropbox syncs are typical in this case. Going to share your screen? Or a presentation? Check out our related articles here and here. When it comes to screen sharing, having the 2nd screen is the best setup. 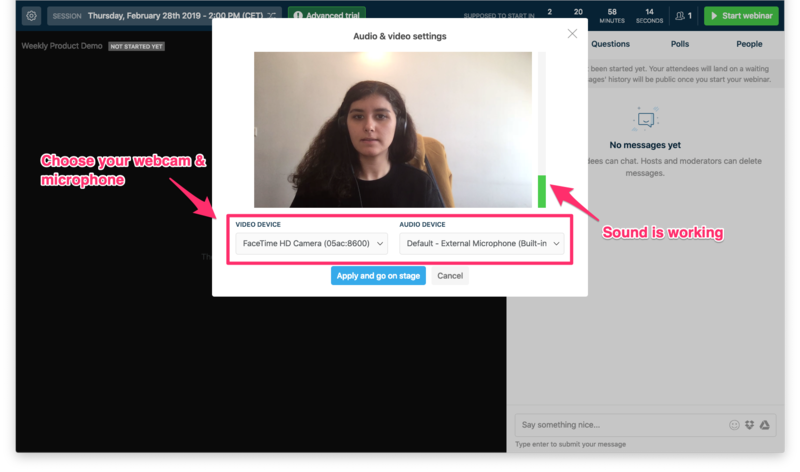 You can have the webinar room in one screen and something else on the other one: a presentation, a chat with your team, etc. As an attendee, make sure they're using one of those browsers. If it worked, you have a cookie problem or a conflict with an extension. Clean the cookies, remove blocking extensions, logout from Livestorm and log back in. If it worked you probably have a network issue with a specific network, please refer to the bandwidth section of this page. If it worked you probably have a global network issue please refer to the bandwidth section of this page.